One overarching takeaway from the experience of the past decade, is the inescapable truth that it is no longer enough to be either the first player to hit the market with a new product, or disrupt the market with a big bang innovation. 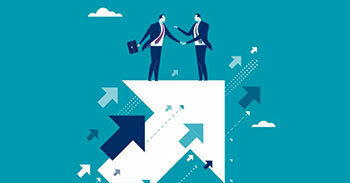 The first mover advantage is neither adequate nor sustainable, as newer and nimbler players are continuously disrupting with innovative products and services. In this modern landscape of connected products and services, where the business and customer have a direct engagement, often the software is delivered as an ‘always on’ service. The emphasis is not on delivering a set of features or functions, but on supporting continuously evolving user-experiences. 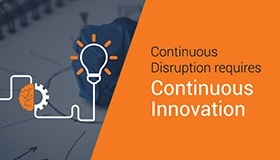 In other words, it is no longer enough to deliver one-time business value, but to meet the demand for delivering continuous business value, which has significant impact on how businesses approach software development; and this demand for continuous business value calls for continuous innovation capabilities. 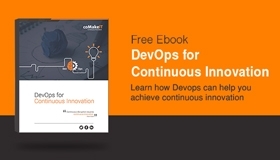 How ISVs can embrace continuous innovation? In an ultra-competitive and disruptive business and technology landscape, only those with long-term vision, strategy, agility, and capacity for continuous innovation will stand a chance to survive and succeed. The ability to build software in a traditional manner with a static process, is no longer sufficient. The need of the hour is to have dynamic and agile processes for rapid development and delivery of software enriched user experiences. 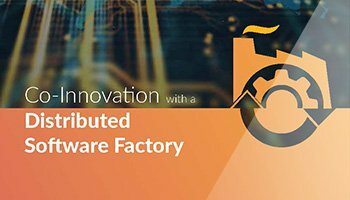 Sometimes, the frequency of delivery could be even multiple times in a day, and this need for delivering continuous value has given rise to the notion of software factories. Software factory is a construct of people, process, and tools, supported by automation and governance. coMakeIT helps customers setup and run software factories that are fully integrated and capable of seamless delivery with contributions from geographically distributed teams. In this age of borderless innovation, software-driven businesses have no choice but to to seek the best talent from across the globe.